The Affordable Art Fair in Battersea Park is one of London’s leading showcases for accessible contemporary art. The fair gives visitors the opportunity to view and buy art in a fun and friendly environment. Each Affordable Art Fair is fully engaging for aspiring buyers, seasoned collectors and families alike, with all kinds of free talks, workshops and interactive installations taking place as well as all of the inspiring art – in all shapes, sizes and mediums. 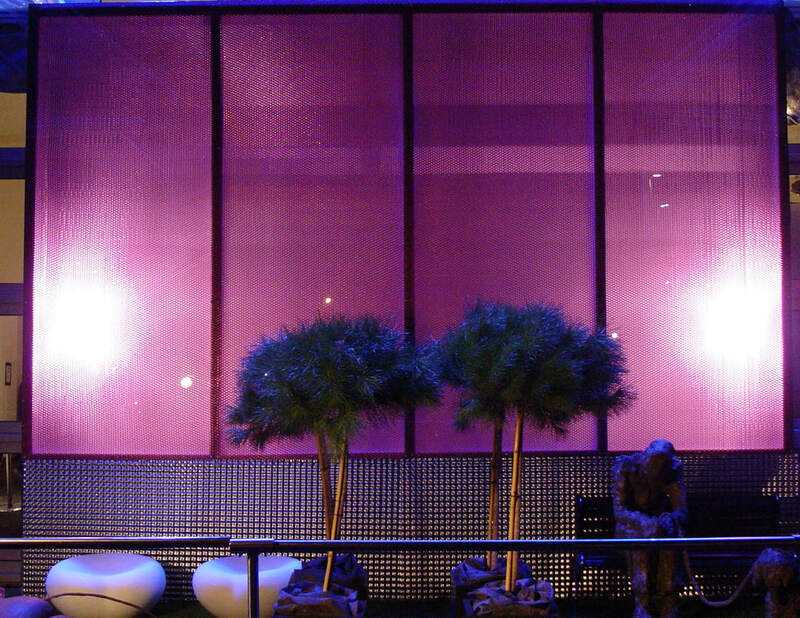 The customer required an interesting and unique backdrop for their outdoor seating area, which would be visited by many thousands of artists and art enthusiasts. The space would have to be warm and inviting to all fair visitors, as well as unique and fitting to its stylish surroundings. To fulfil the client’s criteria, Mykon’s sales team recommended the B-Clear ‘The Series’ range. 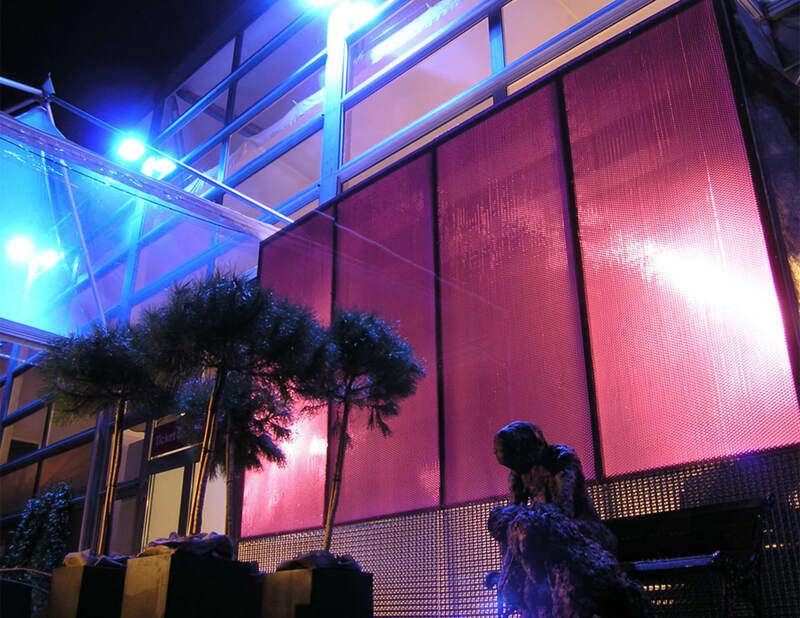 B-Clear ‘The Series’ panels are made with a coloured core encased between strong polycarbonate or glass skins, providing a large array of variations for the client to choose from. After liaising with the Affordable Art Fair, the team recommended placing lighting behind the panels. 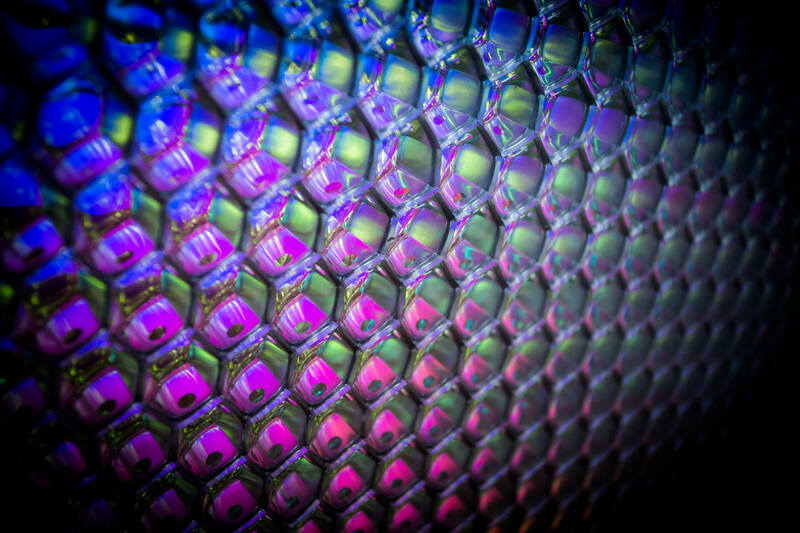 The light would be diffused through the organic ‘fish-eye’ cells. The pink coloured core supplied by Mykon provided a visually stunning background to visitors to the fair. When lit from behind, the core emitted a subtle glow. Mykon also provided Pressload planters to add to the unusual effect. Choose from a wide range of colours, or apply backlighting for a stunning contemporary look.